Likud minister: UNESCO's hypocrisy knows no bounds; we will strengthen our connection to Hevron. "You cannot rewrite history, and you cannot erase it. Our father Avraham bought the Cave of the Patriarchs and paid for it in full. It is, and has always been, the burial place of our forefathers. "Our response will be to strengthen and deepen our connection to the Jewish city of Hevron." Education Minister Naftali Bennett (Jewish Home) said, "The Jewish connection to Hevron has existed for thousands of years. Hevron was the cradle of King David's dynasty, and the Cave of Machpela is the first Jewish acquisition in Israel, and the burial place of our nation's fathers and mothers. It is one of our most ancient our ancient heritage sites." "We should contemptuously reject UNESCO's decision, and work with increased vigor to strengthen our forefather's city. "We had a continuous presence in Hevron from the time of our forefathers until 1929, when the Arabs slaughtered dozens of Jews in the city. 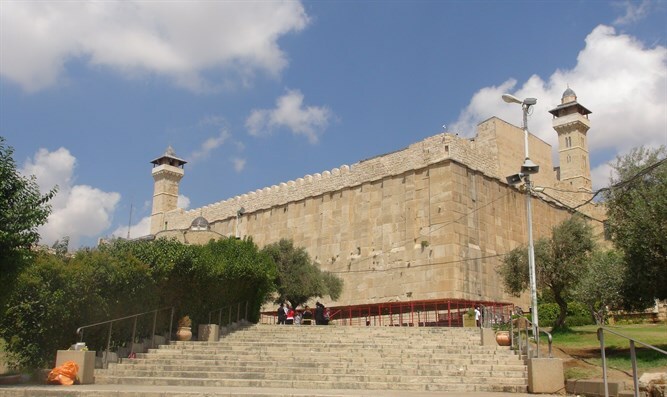 But even that horrific slaughter did not manage to break our connection to the city and to the Cave of the Patriarchs, which has been a Jewish site since the days of the Bible. "No vote will change these simple truths. "It is disappointing and embarrassing to see time and again how UNESCO denies history and warps reality in order to serve, consciously, the interests of those who wish to destroy the Jewish state and wipe it off the map. "Israel will not cooperate with UNESCO until the organization ceases to be a political goring tool instead of a professional organization." Israeli Ambassador to the United Nations Danny Danon responded, "This attempt to sever the ties between Israel and Hevron is shameful and offensive, and eliminates UNESCO’s last remaining shred of credibility." "To disassociate Israel from the burial grounds of the patriarchs and matriarchs of our nation is an ugly display of discrimination, and an act of aggression against the Jewish people." This is not time UNESCO has announced a blatantly anti-Israel decision. In October 2016, UNESCO published its decision that Israel has no rights to Jerusalem, and that Jews have no connection to the Western Wall and Temple Mount.